HelpSite gives you a simple and effective design out-of-the box, with no customization or knowledge of HTML required. 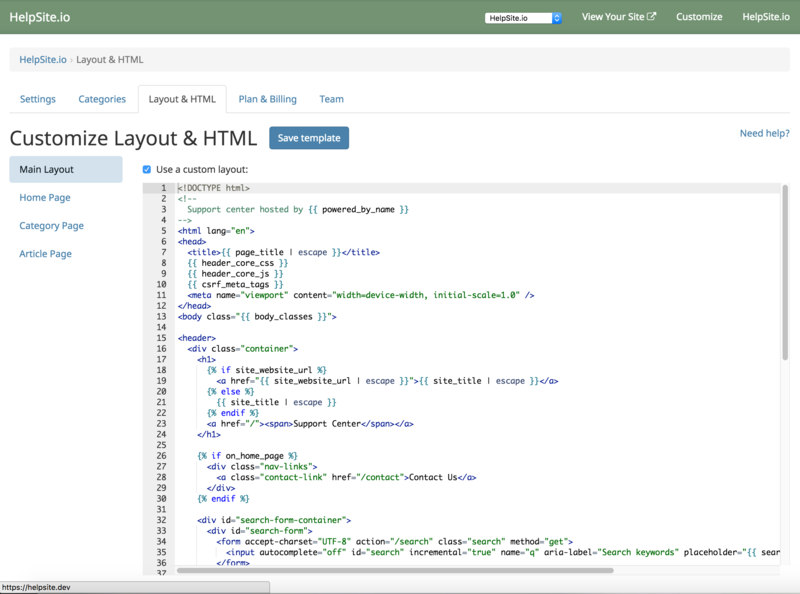 To get started with these features, just signup/login to HelpSite and visit Customize > Layout & HTML. These features are available during the free trial period, however beyond that they require our Gold plan. See pricing. Add a live-chat feature like Olark, Zopim, LiveChat, etc. The templating uses a language called Liquid. Consult the Liquid templating guide for an idea of what's possible, or contact us if you need help.